When you are in a financial soup it is tempting to opt for short cut methods to come out of the mess quickly. There are many methods that should never be resorted to under any circumstances, as they only create more problems without resolving the core issues. The American Gaming Association revealed a statistic that may astonish you- more than 60% of casino players in Vegas were aged 50 years and above. 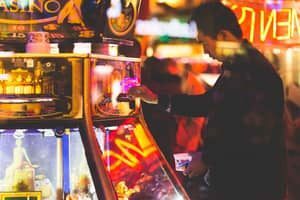 What begins as leisure and recreational traveling could end up as a disastrous evening in a glamorous casino where your bets may have cost you a minor fortune. Wagering your paycheck on a game of blackjack is not the path to deliverance from accumulated debts. You end up exactly where you started, but only worse off. The home equity loan is perhaps easier applied and utilized but the million dollar question is have you reformed or addressed the underlying financial habits like overspending, for instance, that may have contributed to the mess. In the first flush of availing a home equity loan you may revert to the same credit cards that worsened your financial condition or spent extra money in frivolous pursuits that deepen debt. It pays to remember that if you suffer a job loss or even a wage cut this could significantly diminish your home loan repaying capacity. So you need to exercise even more financial discipline after availing a home equity loan, and get rid of bad spending habits. Accepting money from your kith and kin for financing a bailout from a tight financial situation is not the same thing as accepting a loan from an institution or a bank. The former carries the cross of a lifetime of relationships while the latter only entrusts the burden of fiscal responsibility. If by sheer misfortune you become unable to pay back what you have borrowed, you seriously risk damaging relationships irrevocably. The emotional damage arising from strained financial bonds may become too painful for the family to bear. Many people switch their mobiles off, keep the land phone off the hook, leave mail unopened or take a vacation or may even hit the bottle when the going gets tough and collection agencies come enquiring. Burying your head in the sand and thinking that core problems will go away on their own steam is wishful thinking. What you need to do is take immediate action. Call all your creditors and explain your situation and hammer out loan modifications. Call utilities companies and ask for a timeout till finances improve. Look for an additional job to increase income. These positive steps will do wonders to improve your finances. You need to understand that payday loans and advances made by credit card companies represent lending at its exploitative worst. Payday loans can compel you to pay interest rates exceeding 1200% APR that are illegal and usurious way of manipulating you into debt with the sole intention of squeezing you for every penny you are worth. The auto equity loan does not deprive you of any of your bigger assets or even income. The car equity loan easily gives you instant access to a bigger amount up to 60% of the equity in your well maintained car. The auto collateral loan repayment is intimately connected to your individual loan repaying capacity and does not strain your finances. The pawn car title loan is yours even if your past loan record is poor.